Frank Cady presented this issue to the LMUD Board in a slightly different way at the public meeting. LMUD General Manager Cady told the Board that this money was needed because WAPA made an error in LMUD's billing and that the only way to assure WAPA that this money would be re-paid was to agree to a Letter of Credit. 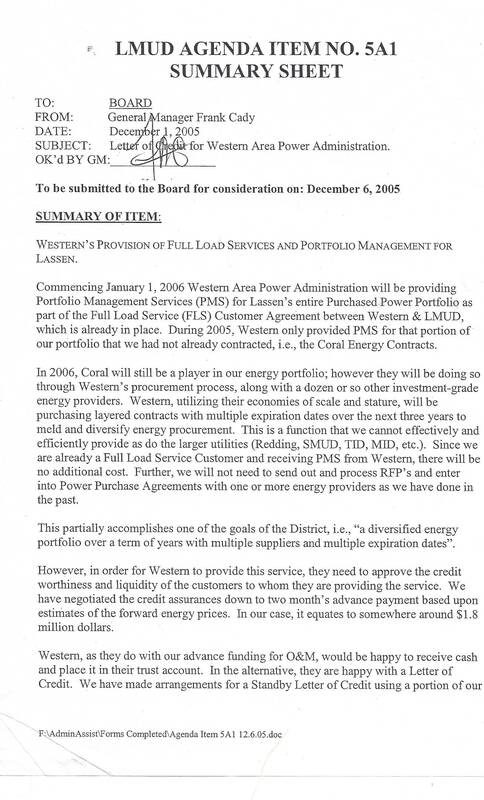 WAPA was very aware of LMUD's financial crisis. This is a far different story than what you will read below.